 "Update on the Arak Reactor in Iran," Institute for Science and International Security Report, 25 August 2009, www.isisnucleariran.org. Gary Samore, Iran's Strategic Weapons Programmes: A Net Assessment (London: The International Institute for Strategic Studies, 2005), p. 101. Institute for Science and International Security, "Nuclear Sites, Uranium Conversion and Fuel Fabrication," www.isisnucleariran.org. 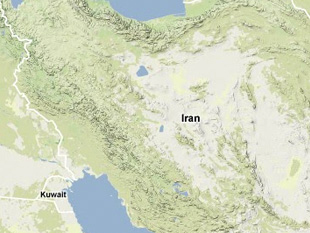 ISIS Imagery Brief, "No Visible Evidence of Explosion at Esfahan Nuclear Site; Adjacent Facility Razed," Institute for Science and International Security, 8 December 2011, www.isisnucleariran.org.